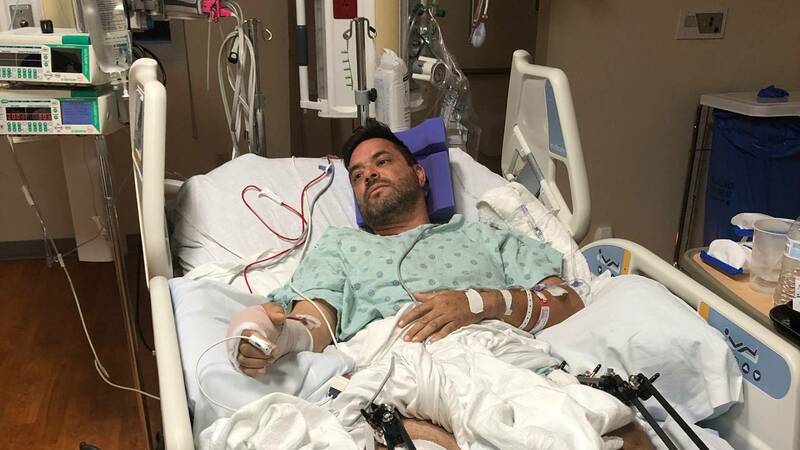 MIAMI-DADE COUNTY, Fla. - The family of a man who managed to survive a nasty wreck on Florida's Turnpike this week is holding onto hope that 44-year-old Carmelo Gonzalez will make a speedy recovery. "My brother called me. He's like, 'Dad got in an accident. He's going to be airlifted,'" said Cynthia Gonzalez, the victim's daughter. "They couldn't get him out of the car. He was in the car for more than hour, so that was the most scary part. I wanted him to get out of the car," Cynthia Gonzalez said. 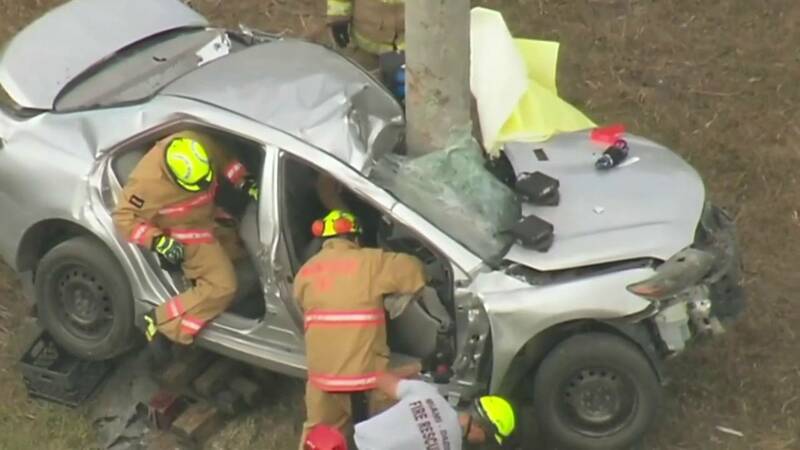 Carmelo Gonzalez survived a nasty wreck on Florida's Turnpike. 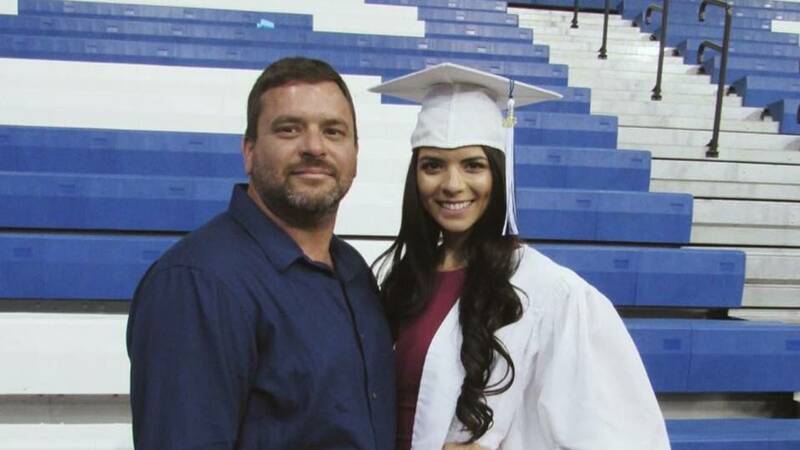 The family said Carmelo Gonzalez, who works for a vehicle repossession company, was heading north on Florida's Turnpike on Wednesday when another vehicle cut him off, causing him to crash into the tree near the Quail Roost Drive exit. Carmelo Gonzalez (left) and his daughter, Cynthia Gonzalez. "I just want to honestly thank them. My whole family wants to thank them, because I knew it took a lot of time, and they didn't give up on him," Cynthia Gonzalez said. While Carmelo Gonzalez faces a long road to recovery, his daughter says she's just grateful she'll get to spend another Christmas with her father. "Definitely, it's a miracle. God was with him. 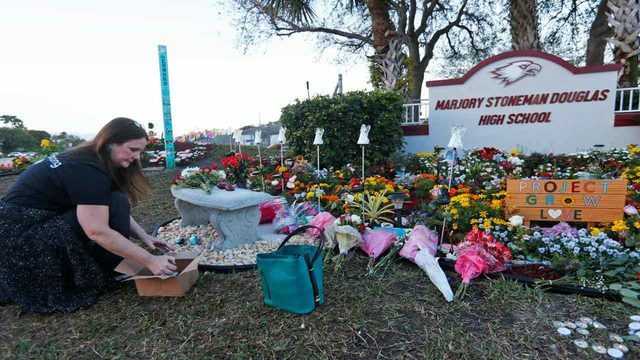 We were all praying, and he was with us, and my dad is alive, and that's all that matters," she said.